Very cute Christmas jewelry set: Four light bulb pins, one pair snowman earrings, one pair small Christmas tree earrings, and one Christmas tree pin. 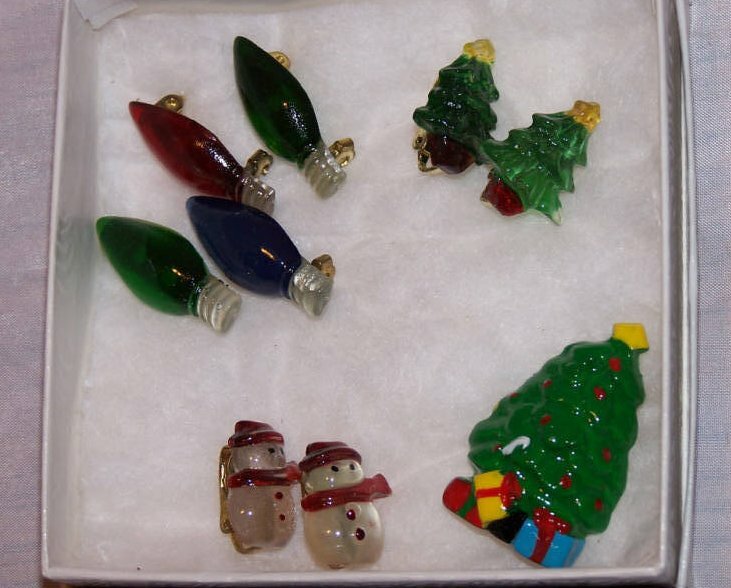 All of the jewelry pieces (except for the Christmas tree pin) are made of clear colored plastic. All pieces show slight wear.